Go online to find fun and educational preschool websites, perfect for rainy days and cold winter nights. Parents or other adult should be present whenever kids are online. Preschoolers may need some instruction on how to play games and complete activities on the websites before they can get started. Build-a-Monster: Children will delight in creating their own scary creatures, picking a different head, body, and legs for each beast they make. Tractor Tom: Have fun playing on the farm with this tractor and his friends. Play games like painting and jigsaw puzzles, or sing along with Tom and his friends on the farm. ABCYa: Fun online games for preschool kids in letters, numbers, strategy, skill, and more. There are also games for school-aged kids, so as preschoolers grow they can return to this website again and again. Kids love fun and games, so these websites are sure to be a great hit when they need to unwind or relax. Parents will find the graphics and stories amusing and fun to do with their children, too. Preschoolers often learn their numbers, shapes, colors, and alphabet. Some preschool curriculums may even introduce phonics and reading. Logic, cause-and-effect relationships, social skills, and sciences are also other areas that preschoolers will be learning in school. KidsCom Jr.: This site features fun games, like matching and activities such as building blocks. 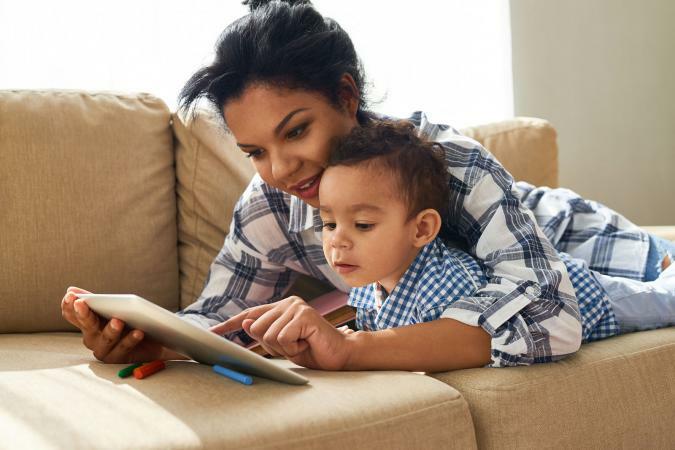 An Internet safety game is a good one for children new to online activities; however, preschoolers will probably need an adult's help to complete it. Literacy Center: More academically based, this website reinforces letters, shapes, numbers, and counting with simple games. This is perfect for use in the preschool classroom or at home for reviewing skills before a child enters kindergarten. Another place to find good educational games is the Fischer-Price website. Find learning activities geared towards preschoolers that include their favorite toys, like Little People and Rescue Heroes. Teletubbies: Using the yellow, arrow, click on the different graphics to go to different activities. For example, clicking on one of the rabbits will take children to a matching game. Choosing the paintbrush will bring up an online coloring page. Picking the yellow and red Teletubbies will bring up a counting game. Few instructions are needed, and kids will enjoy the feedback of clapping and cheering when activities are completed. Nick Jr.: Find games and activities based upon a child's favorite show or his/her age. For example, choosing the show Wonder Pets! brings up various crafts, downloadable games, print & play activities, and more. Or, find the perfect play ideas for a 4-year old to do, with skills that include hand/eye coordination, math, language, creative arts, and more that all have their favorite friends from Nick Jr.
Thomas and Friends: See Thomas the Tank Engine and all his friends in activities and games at this website. Short videos are also included for preschoolers to watch on their home computers. Games include "Balloons Game" (pop as many balloons in one minutes as a person can) and "Railway Journey"(get each train to the right destination). Activities include making posters, connecting the dots, and decorating the engine sheds. Fun With Spot: The book character Spot comes alive in this interactive website. Choose a toy or object in the room to start playing. For example, choosing the pail and shovel takes Spot to the beach, where he can play a counting game with a crab or send a postcard. Sesame Street Workshop: Preschoolers can have fun reading stories and playing games with their favorite characters from Sesame Street. Bert, Ernie, Oscar the Grouch, Big Bird, Elmo, and the whole gang are all here. From "Bert's Bottle Caps" game to "Cookies Can't Laugh" story and an entire "Elmo's World," kids will delight in playing with their friends. Preschool websites offer just about anything a parent or teacher can need. Not only are many of them fun for the kids, but they also offer kids a chance to learn with their favorite characters from books and television.